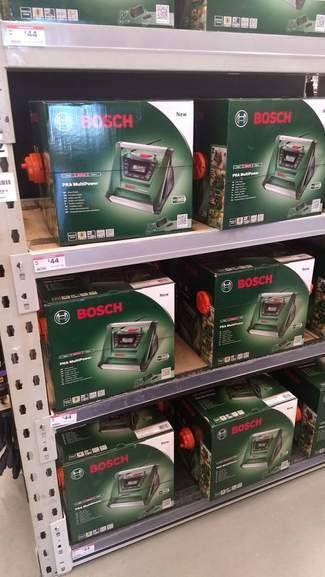 Stacks of these at £44 in local B&Q (Loughborough). Shows as OOS online, but B&Q site currently down. Only problem with this is it's not DAB. For reasons best known to themselves Bosch don't offer DAB on any of their site radios, even the ones in the pro Blue range. 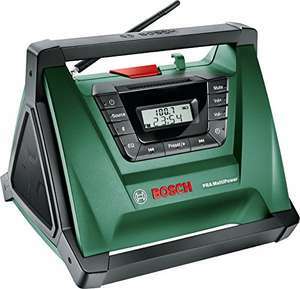 Only problem with this is it's not DAB.For reasons best known to …Only problem with this is it's not DAB.For reasons best known to themselves Bosch don't offer DAB on any of their site radios, even the ones in the pro Blue range. Exactly why I didn't eventually buy it. Dithered, as Bluetooth enabled, but Bluetooth not always great around tools. Still, seemed pretty robust & cheap. NOT DAB ‌ Bluetooth, but not DAB? What a shame....what a F**K-up methinks. Can anybody say if it would have been an expensive option to have produce a DAB enabled unit? just curious.